GENDERACTION Webinar: The Gender dimension in H2020 and its relevance for Research Infrastructure projects. 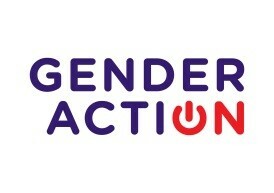 This GenderAction webinar is a preparatory event for the on-site training on Gender and Open data on 21st/22nd of November in Lisbon. The focus of this webinar is Gender Dimension in Horizon 2020 projects and consortia whereas the Gender part in the training will focus in particular on practical examples from and projects in the Research Infrastructure Programme. ▪ NPCs reflect on next steps how to make use of the results of the training, to support the aims of the EU / of Horizon 2020 regarding the cross cutting topics and to consult proposers accordingly. NCPs for Research Infrastructures in Horizon 2020. All NCPs interested in the topic gender. « Online Meet & Exchange: Share your favourite training methods: Get inspiration on how to make your information days and training workshops more engaging and interactive.